For millions of Catholics, Padre Pio was a holy man whose bleeding hands were stigmata -- supernatural signs of his deep faith and miraculous powers. But a new book suggesting the Italian priest, who died in 1968 and was made saint by Pope John Paul II, was a self-harming fraud has drawn a backlash from those who accuse the author of committing "anti-Catholic libel". In his book "Padre Pio, miracles and politics in 20th century Italy", Sergio Luzzatto reveals that the Vatican itself was initially deeply skeptical of the priest whose image is ubiquitous in homes, shops and cafes throughout Italy today. "The job of a historian is not to say whether a miracle is true or false," Luzzatto told Reuters in a telephone interview. "It is to understand why, in a country like Italy which in the 20th century can be considered fairly secular, miracles are so prominent -- what does that say about Italy?" With access to Vatican archives, Luzzatto found evidence that the Capuchin priest secretly ordered bottles of carbolic acid which he may have used to create the wounds in his hands similar to those of Christ who was nailed to the cross. As the priest's fame grew in the early 1900s, senior Vatican officials suspected him of being a hoaxer, but the groundswell of devotion was eventually too much for the Church to resist and he was gradually tolerated and later revered. Pio died in 1968, aged 81, 50 years after first saying he experienced the stigmata. 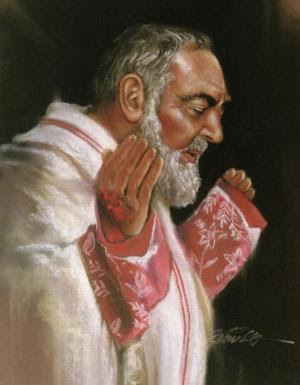 In 2002, Pope John Paul II canonized Saint Pio of Pietrelcina after the Church found evidence that the miraculous cure of a sick woman was due to the late priest's intercession. The saint's popularity in Italy is hard to overstate. His birthplace in southern Italy is a shrine that attracts hordes of pilgrims and a survey in a Catholic magazine last year found far more Italian Catholics pray to him than any other icon of the faith, including the Virgin Mary or Jesus. Even before the book's publication later this week, excerpts printed in a national newspaper have sparked controversy. "We remind Professor Luzzatto that, according to Catholic doctrine, canonization implies papal infallibility," said Pietro Siffi, head of the Catholic Anti-Defamation League in a statement on the group's website. In a reference to Luzzatto's Jewish origins, Siffi added: "Might we suggest that Prof. Luzzatto puts his energies into studying his own religion seeing that when it comes to Christianity, and Catholicism in particular, it looks like he has really overstepped the mark." Luzzatto, who teaches at the University of Turin, rejected the notion that Catholic history should be the exclusive realm of Catholics. "No one asks a scholar of Greek history: 'Do you believe in Jupiter?' It's not relevant for a historian to answer this type of question." Declaring himself an agnostic, Luzzatto says he does not believe in the stigmata, but believes that the Padre Pio story says a lot about Italy and about the Roman Catholic Church which, in his analysis, learned to love the priest only after it was clear he had a large and devoted following. 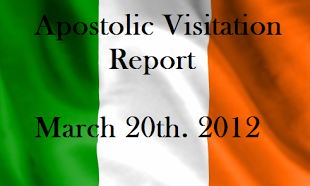 "This whole story shows that the Church sometimes has to resign itself to let the lower rungs win rather than the hierarchy. "There's no doubt that even if Padre Pio did have supporters high up in the church in the 1930s and 1940s, this is one of the cases where the base won." "We remind Professor Luzzatto that, according to Catholic doctrine, canonization implies papal infallibility," said Pietro Siffi, head of the Catholic Anti-Defamation League in a statement on the group's website." Ha ha ha ha ha ha...Oh sure if d pope said it then of course it must be true...so the world is flat and the system of numbers is true and of course the sun revolves around the earth and a homless tramp with his head shaved relly could talk to birds...hilarious! administered the shots, using carbolic acid as a sterilizing agent." Frank Rega, author of Padre Pio and America p. 55, TAN Books 2005.